A proud moment for Judy Sorrenson (Port Kembla) with her trophies. The Port Kembla Club certainly turned on a well-organized competition on March 14, in conjunction with the City of Greater Wollongong’s 3rd Annual Carnival of Sport. This club showed many of the larger metropolitan clubs that when they said we would have an enjoyable day – they certainly meant it! And the prizes – wow! Never ever have the NSW Executive seen such a line-up of really valuable trophies. No silverware or tin cups but sensible (if not rather too expensive) products including Electric Frypans, TV Lamps, Tea Sets, Sherry Decanter & Glasses, Toasters, Record Players, etc. Over 100 pounds worth of goods all purchased (not donated) by the organizers – the Port Kembla Skindiving Club. Unfortunately the water was not the clearest although John Black and Brian Raison from Sans Souci Club scored over 300 points each. Bill Lewis caught the heaviest fish (a 25 lbs. Blue Groper) and took home a valuable trophy – a box of pilsener glasses. 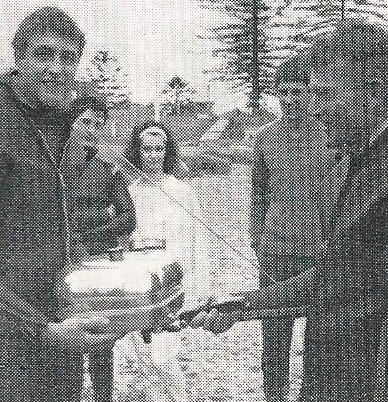 Graham Oliver, Denis Porter & Tex Moreton taking it easy whilst competing at Wollongong. John Black S.S.D. 321 pts. Brian Raison S.S.D. 301 pts. Jack Evans Pt. H. 265 pts. 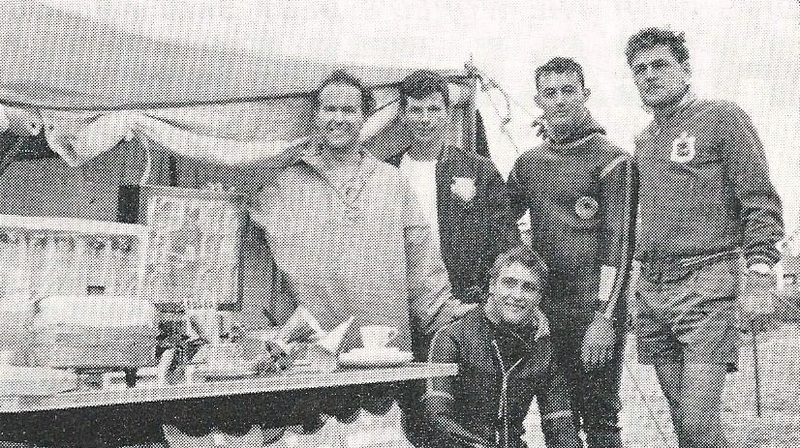 (Left to Right) The goodies and thei new owners Jack Evans, John Black, Brian Raison, Bill Lewis & Trevor Carter (front). Trevor Carter S.S.D. 152 pts. Mike Keenen Pt. K. 123 pts. Judy Sorrenson Pt. K. 15 pts. The event attracted over 100 competitors but only 95 signed – off. The 10 competitors who failed to sign – off were each fined 5 shillings, the fine to be paid before competing in any further competitions. Trevor Carter (SSD) receiving the frypan he won at the Carnival of Sport. (Jack Chappell doing the Honours). 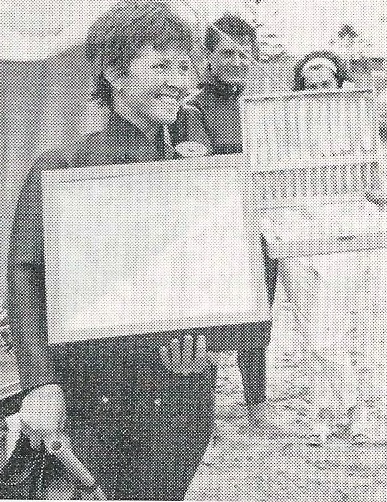 Note: This event was the first for what is now known as the South Coast Spearfishing Championships.